This is an expensive book but you need only buy it once and you will have readable plans and details of more than 470 Wright buildings. I love his work and have several books about the great man but I find that plans in other books are sometimes unreadable because of the reduction to fit on the page. William Storrer has redrawn them all and taken nearly all the black and white photos. 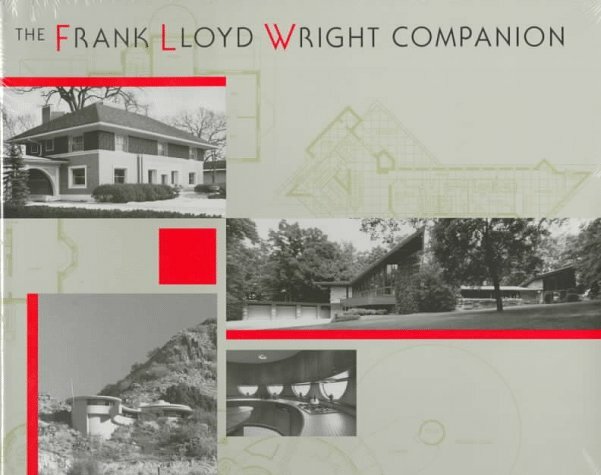 These are to Wright's specification: exterior shots to be in a natural context and include foliage, interiors should be taken with natural light and from a seated position and as Storrer says, this last condition excludes most contemporary color photography of his work. Also included is a ZIP code index of the buildings if you want to visit and see the outside, lucky Illinois and Wisconsin have the most. Brillliant though this book is I really wanted to see Wright's work in color and I can recommend 'The Vision of Frank Lloyd Wright' by Thomas A Heinz, an inexpensive 448 page book with a color photo of every building. Both authors are experts on Wright and if you have these two books (and a table to support their weight) you will hardly need to buy any other books on America's greatest architect, then again I liked Doreen Ehrlich's 'Frank Lloyd Wright Glass' and Carla Lind's 'The Wright Style: the interiors of Frank Lloyd Wright' and......!